When we arrived the internet was down at the hotel and it was the beginning of the Sabbath so we had to wait until Sunday before the internet was fixed. I am so grateful for my iPhone that works through the 3G network so I was still able to make and upload the videos. I started the day by running from Jerusalem to Abu Ghosh. We then packed and took a drive to the airport to meet our two buses and our local guide Amer. Both flights came in without incident– not even any lost luggage. We drove to Galilee had a nice Mass on the shore of the Sea of Galilee with the moon rising and then dinner and bed. 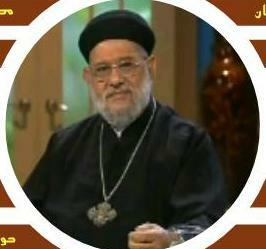 Meet Coptic priest Zakaria Botros from Egypt. Little known in the West but making waves with Muslims in the Middle East. He fights fire with fire. He sits with the Christian Scriptures and the Koran in front of him. He is an expert at Classical Arabic and all the literature of Islam. He challenges the Muslim to respond and refute him. To read the article about this courageous Christian, click here. To see him on video, go to www.youtube.com and search for Zakaria Botros. To read his Nine Demands of Islam, click here.